Purple is, and always has been one of my favorite colors and when paired with green it makes me swoon, so this February Ribbon Club Assortment from Really Reasonable Ribbon is perfect for me! I’m loving this color combination. 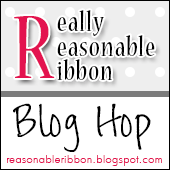 Welcome to the Really Reasonable Ribbon February Blog Hop. If you arrived here from Cheryl’s blog, you are on the right track. If not, why not head back to the RRR Blog and start from the beginning so you don’t miss any of the terrific projects. Be sure to comment on the post on the RRR Blog for a chance to win your own February Ribbon Club Assortment. 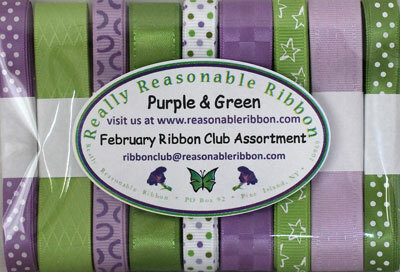 This month the Really Reasonable Ribbon Monthly Ribbon Club Assortment is a gorgeous purple and green ribbon mix. The February Ribbon Club Assortment contains 9 styles and a total of 18 yards of ribbon. Each monthly assortment is a color or holiday themed ribbon collection. What a fun way to build your ribbon stash and try new ribbon styles. This month I created another inspirational greeting card. 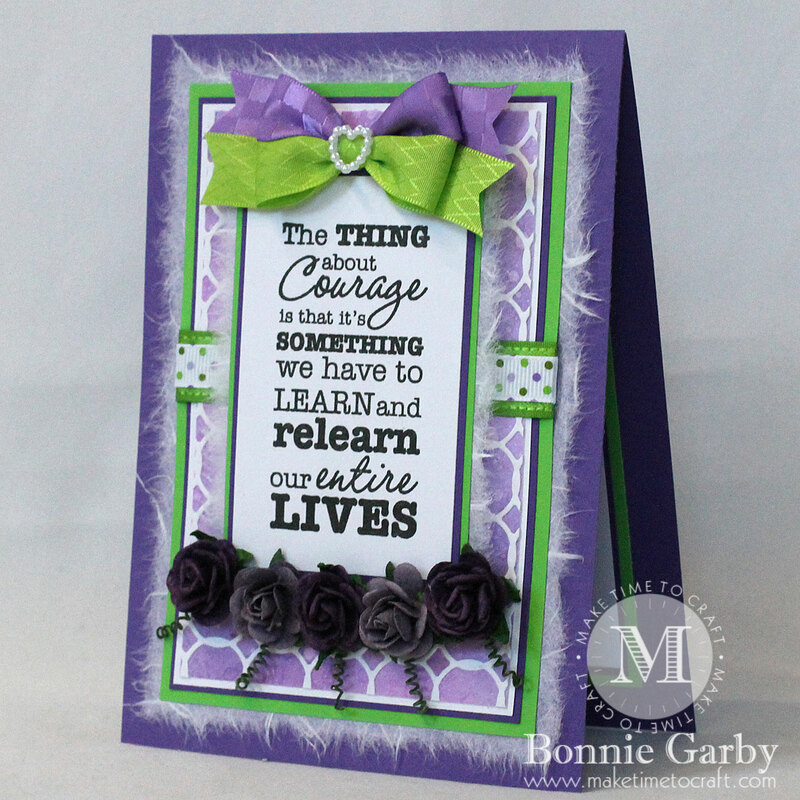 I just love a purple and green color palette and the torn natural mulberry paper adds a wonderful soft feminine layer at the base of the card along with the row of Open Roses under the sentiment panel. My card is topped off with a pretty bi-color bow created on my Bow-it-All V3.0 Tool using two of the ribbons from the February Ribbon Club Assortment from Really Reasonable Ribbon and the center was topped with a Heart Shaped Pearl Embellishment for some added interest. For a video tutorial on how to create this fun bow, please click HERE. 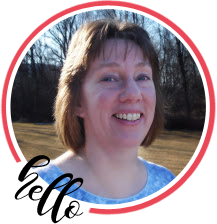 Now for my headband of the month: This headband was created on a 1″ White Plastic Headband using the two of the 5/8″ satin ribbons from the February Ribbon Club Assortment. So beautifully created and it could be framed for a gorgeous piece of decor!! You also make the prettiest headbands I have ever seen!! What a fabulous and inspirational card. 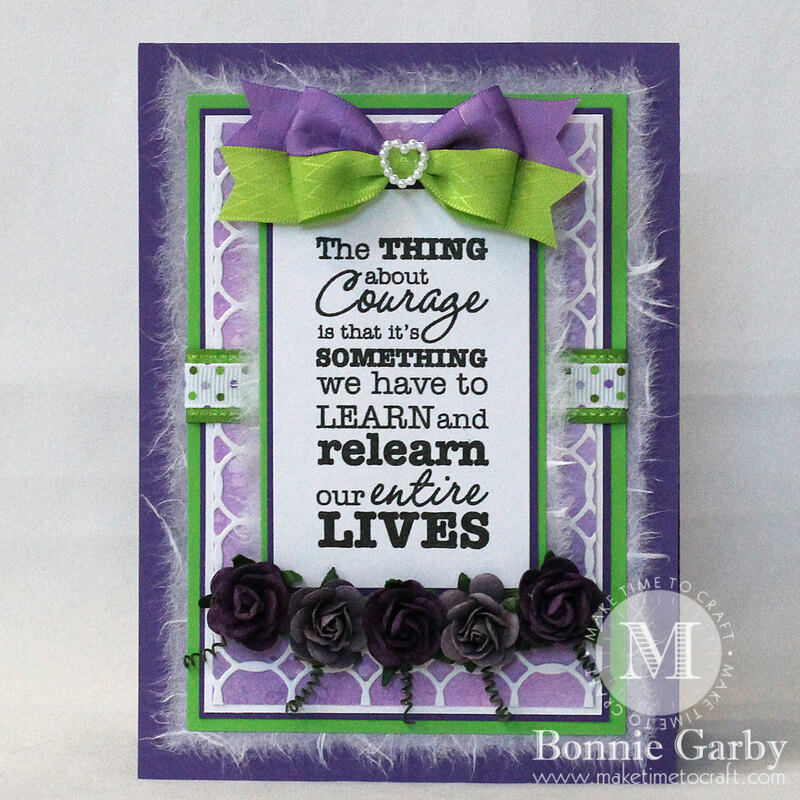 Love the sentiment and the details, including that wonderful double ribbon bow..
That headband is Mardi Gras joy! 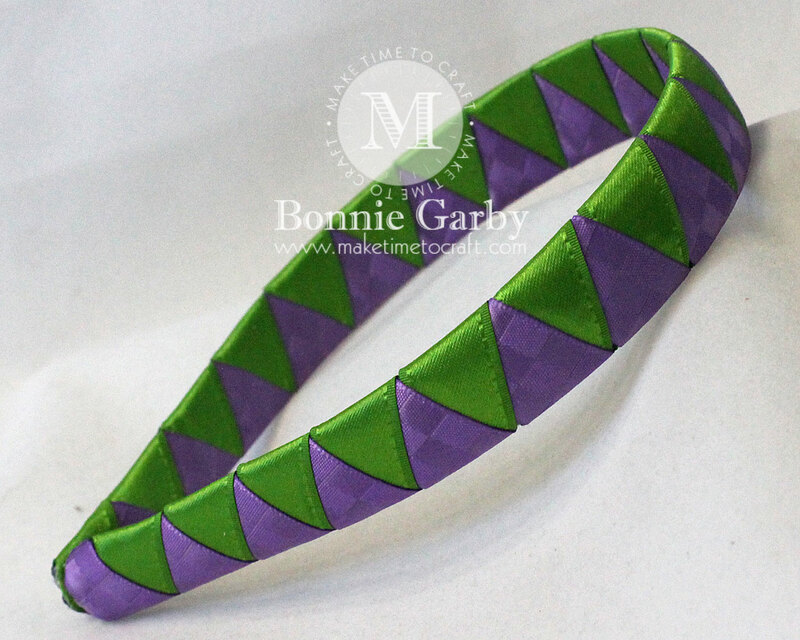 I concur with Martie that the headband is Mardi Gras joy; it’s perfect for it. And your card is lovely. Adore the ribbon as well as the lovely roses. 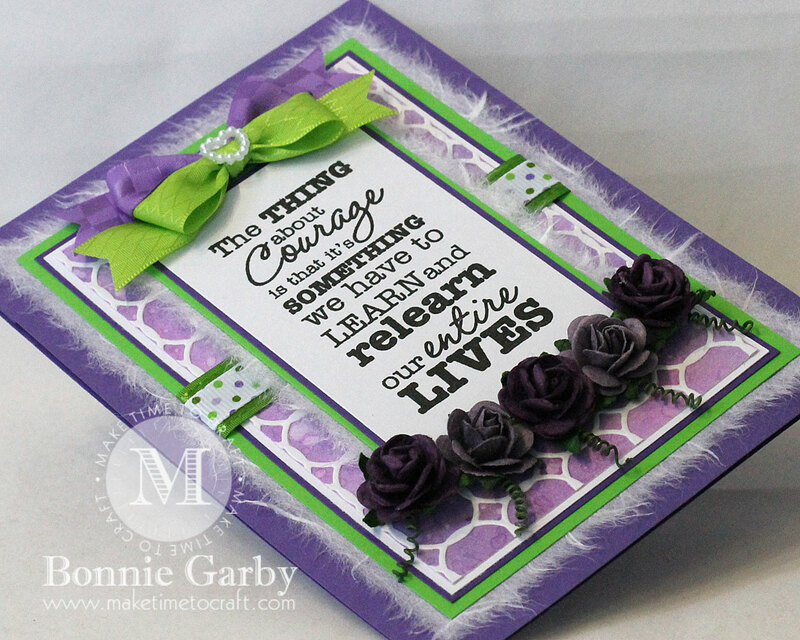 Lovely color combo and embellishments on your pretty card! Awesome headband too! This card is so gorgeous with those wonderful colors and dies used. And, I love the sentiment. You make such wonderful headbands too. 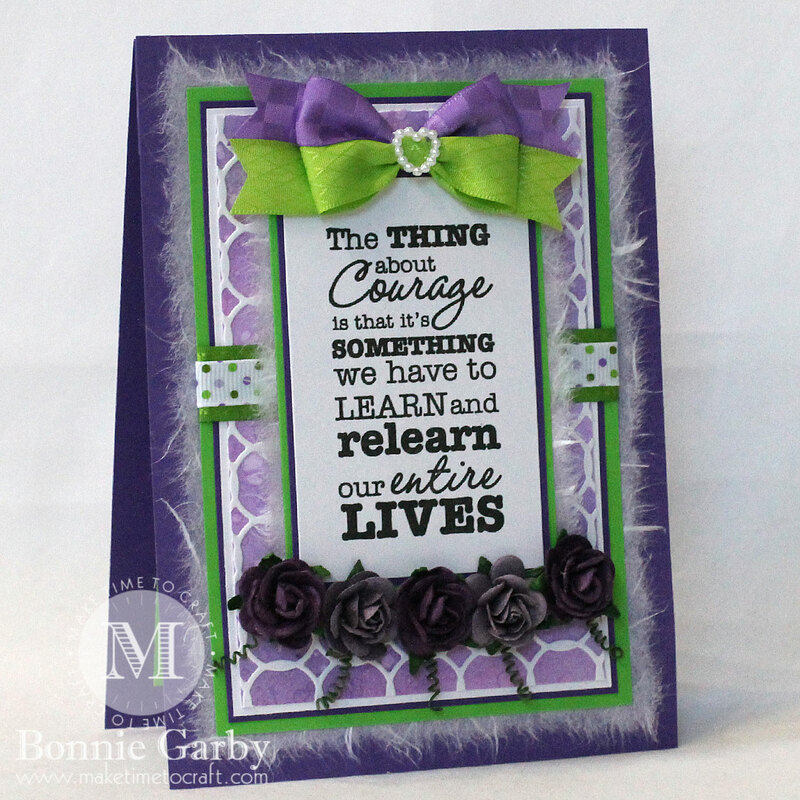 Love the pairing of the purple with the green ribbons and how gorgeous both your card and headband is! Love the festive feel and of course purple is my fav! So cute in green and purple. Love the flowers on the card. Purple is my favorite color too, and this card is gorgeous.